Caption - South African Railways (SAR) 15CA class 4-8-2 no.2075 is seen at Breyten loco shed in July 1979. Eventually the class numbered ninety-six examples with this engine built by Baldwin in 1929. 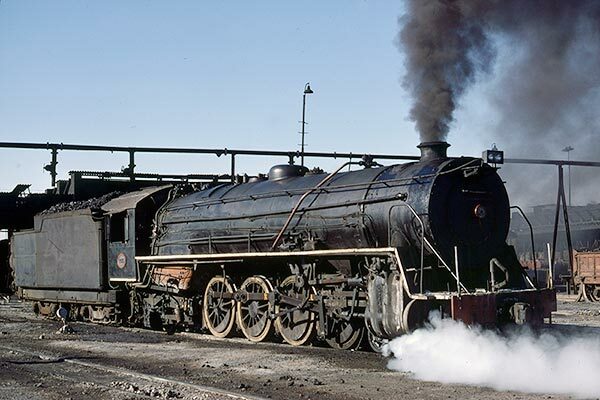 By this time the class was mostly located in the Transvaal and were the noisiest steam locos in South Africa. This probably explains why the 15CA's were always a personal favourite.